I’m a spunky 7-year-old tri color Wire Haired Jack Russel Terrier Mix! I’m spayed, microchipped, and up to date on all of my vaccines! 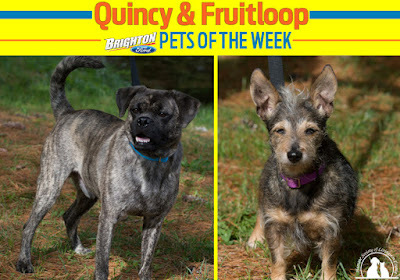 I’m looking for a new family to call my own with my best pal Quincy! We were found as strays together and were transferred here. I’m good with other dogs and I might be good with children and cats, that would be a case by case basis. I have low energy and I’m super sweet. I’m great on a leash and I love going on walks with my best pal Quincy! We want our new family to love, are we the ones for you? Hi I'm Quincy I'm bonded with my best pal Fruit Loop! I’m a handsome 2-year-old brindle Pug mix! I’m neutered, microchipped, and up to date on all of my vaccines! 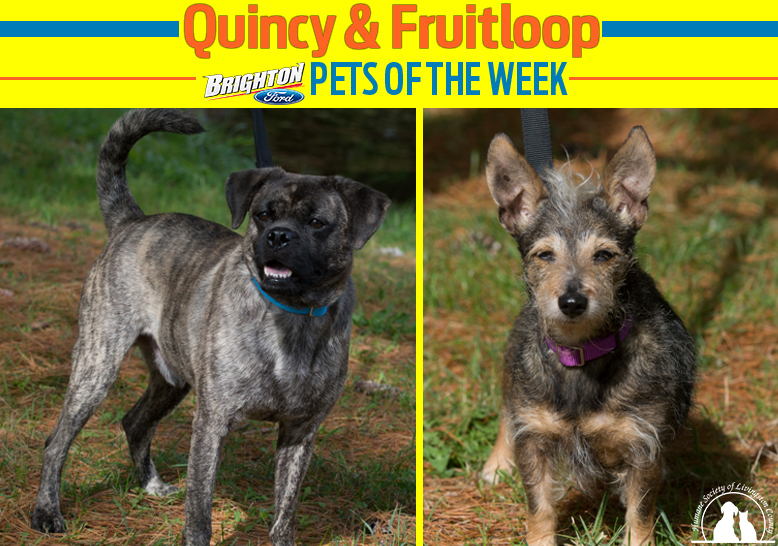 I’m looking for a new family to call my own with my best pal Fruit Loop! We were found as strays together and were transferred here! I’m great with other dogs, leash manners and being social with people and dogs! I’m working on house training! I would benefit from a basic manners training.